Hard work leads to great rewards on our one-day Game Cookery course, as we teach you all the preparation and kitchen skills you need to get the most out of the wild meat in your larder. 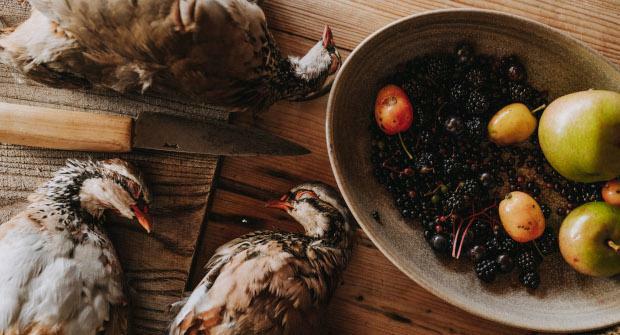 The River Cottage chefs will soon have you skinning and jointing, plucking and drawing, curing and smoking a variety of game birds and rabbit, turning them into tasty dishes at the end. There couldn’t be a better setting for a day of fun and game than River Cottage HQ, with both the rustic Devon countryside and a delicious local lunch to savour. 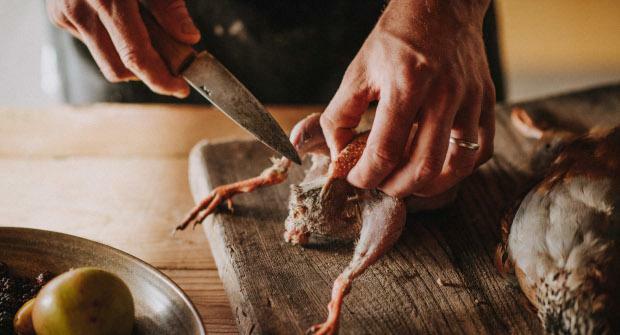 You’ll leave the cookery school brimming with knowledge, and the confidence to source and cook the best seasonal and sustainable game ingredients. You will learn how to skin and joint a rabbit, and then how to cure its meat. 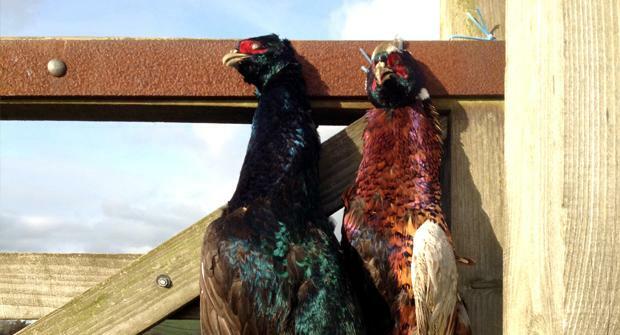 Next we’ll teach you to remove the meat from a game bird, such as partridge or grouse. Using the ingredients you have already prepared, you’ll make a delicious game pâté to take home at the end of the day. Next there’ll be more cookery advice, with a lesson on how to hot smoke and roast saddle of rabbit. You’ll move onto a modern game dish that will give you the confidence to experiment at home. This could be pheasant fajitas, game Bolognese, rabbit burgers or a succulent duck curry. Next, time to eat! With your roast rabbit as the starter, our River Cottage chefs will treat you to a lovely lunch of local and seasonal fare. By now you will be probably be bursting with questions, so this will be your opportunity to take away some expert advice for game cooking at home. There will be time to chat to your fellow scholars and the River Cottage team, before being whisked back up the hill by our tractor and trailer (at 5pm), game pâté in hand.